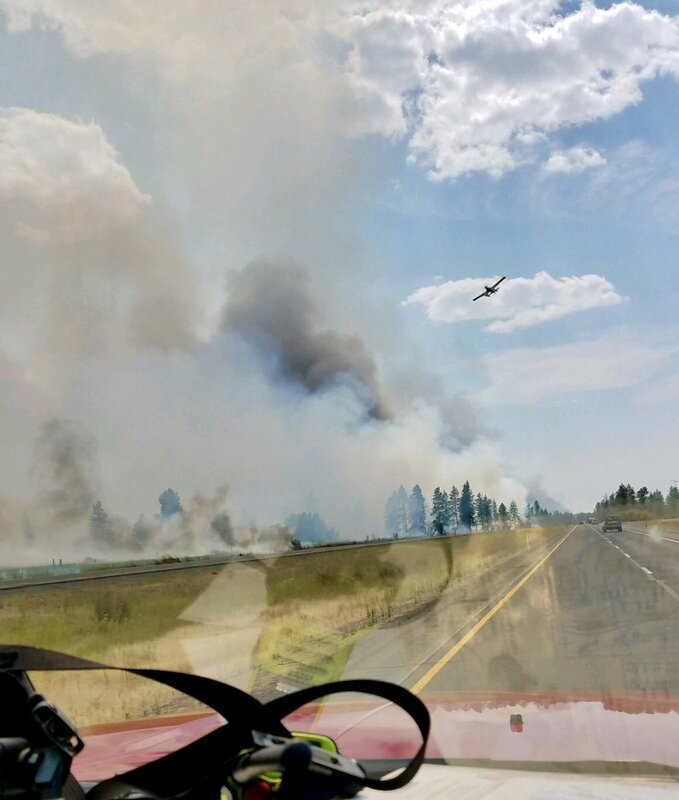 A slow-moving wildfire ignited on Monday, August 6th located north of Cheney off of I-90 that had already burned 100 acres at the time fire assets being deployed. It was reported by several fire Agencies in that the wildfire had a high growth potential. Wildfire assets AR 108 AR 32 AR 422 AR 441 AR 446 AR 449 H 344 HI 40+Crew HT 41 HT 44 NC 40+Crew NC 41+Crew NE 06 were deployed on Monday, August 6th at 1310 hours to Silver Lake in Spokane County, Washington. Fire Managers were already being challenged with the fire burning in timber and threatening homes and prompting local Officials to issue Level 3 and 2 evacuations. Fire mobe resources were quickly requested, approved and deployed to the fire line bringing in more than 100 firefighters represented from 11 agencies , four fire boss aircraft. As of today, the fire is still at 100 acres but crews have reached a 20% containment status. Fire crews are still in mop up operations. They will work to hold and secure established fire lines. There are currently 119 personnel along with two crews and 28 engines. EB I90 lanes still closed and one westbound lane is open. 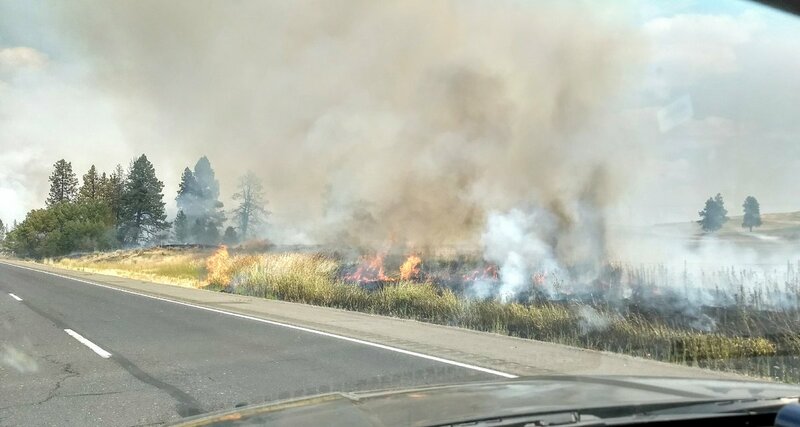 WSP is in unified command with fire managers and when it is safe for citizens and responders we will reopen the eastbound lanes. 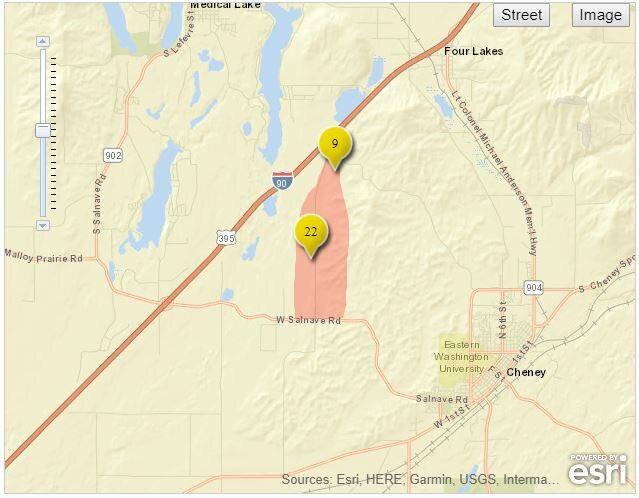 The eastbound lanes of I-90 were closed along milepost 265, but one lane has since been reopened. Total fire suppression and containment costs-to-date have reached $200,000. Estimated containment is around August 9th.